I am wiped out. 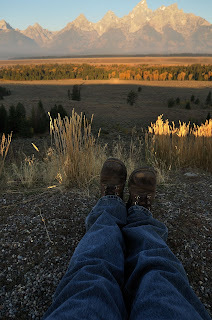 This was me kickin back at the Tetons a few weeks ago. But right now I am all tuckered out. Long weekend. Drove to Grand Forks, ND to watch USF beat ND in football!!! More blogging material. But I am tired. So I think I will just kick back on unwind a little.